The following video is about the National Association of Exclusive Buyer Agents. The National Association of Exclusive Buyer Agents (NAEBA) is an organization of real estate professionals who have dedicated their business lives to representing only buyers of real estate. Learn more about exclusive buyer agency by watching the following two-minute video. The following is the transcript of the video about the National Association of Exclusive Buyer Agents. Speaker 1: The National Association of Exclusive Buyer Agents are consumer advocates for the home buyer, educating you on a better way to purchase real estate when you buy. NAEBA members are called exclusive buyer agents. Speaker 2: Some real estate licensees advertise themselves as buyer agents, but really they and their companies work for the sellers. The problem is no company can represent both the sellers and the buyers without an inherent conflict of interest. Speaker 1: Often these conflicts are not clearly disclosed to consumers. An exclusive buyer agent can never have those conflicts with you. Exclusive buyer agents have been in existence since the 1980s. More people are becoming aware of them through reporting by Suze Orman, Ilyce Glink, Consumer Reports, Kiplinger's Personal Finance, the Wall Street Journal, Money Magazine, CNN Money, and others. Speaker 2: Since exclusive buyer agents never represent sellers, all of their time and loyalty is for the buyer. They're always 100 percent on the home buyer's side. Speaker 1: NAEBA members are specialists, not generalists. If you had trouble with your heart, would you want a heart surgeon who was a specialist or a general practitioner? The answer is obvious. Because NAEBA members are specialists, they're very good at all aspects or representing home buyers. Speaker 2: From home finding to saving you money in negotiation, and other aspects of your transaction, and getting you to closing smoothly. Speaker 1: Exclusive buyers agents show all properties meeting your criteria by any real estate company, and also show you for sale by owner properties, pre-foreclosures, bank-owned foreclosures, short sale properties, and more. Speaker 2: Exclusive buyer agents are willing to put their promises in writing, outlining how they protect and respect you in a higher manner than a typical buyer agent. With mutual loyalty, everyone works harder as a team. Speaker 1: Thanks, and we hope you learn much more by going online to naeba.org. 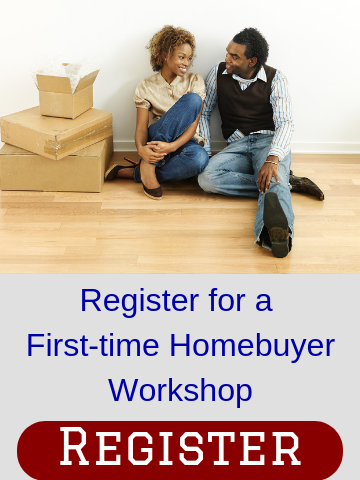 Now you too are a more informed home buyer.